Buko Almond Salad with Vanilla Ice Cream. 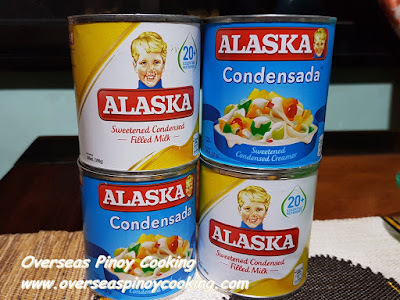 While browsing around at the supermarket for the gulaman powder for my Buko Pandan Salad with Pandan Ice Cream, I again saw these packets of almond flavoured gulaman powder which incidentally I have used in my Almond Jelly, Lychee and Pineapple Salad. I was supposed to make Buko Pandan Salad with Pandan Ice Cream out of the buko strips from 12 young coconuts I bought from a peddler in Silang, Cavite along Aguinaldo Hi-way on our way home from Tagaytay. 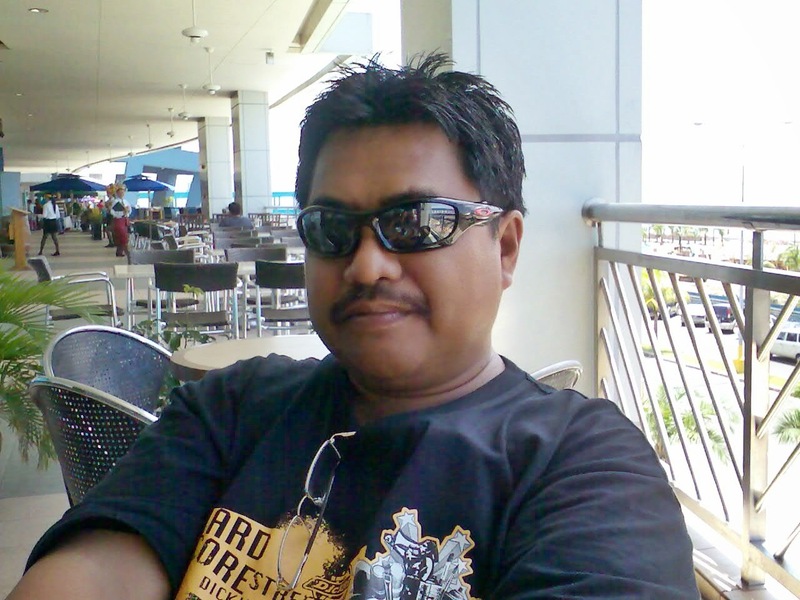 That’s how the idea of my Buko Almond Salad with Vanilla Ice Cream started. I have thought the almond could go with the buko and without hesitation picke up a couple of the almond flavoured gulaman powder. Buko Almond Salad with Vanilla Ice Cream did come out awesome, it is out of this world well not till now. The favours of buko, almond and vanilla all infused together in a creamy, crunchy and soft texture married all together that is really out of this world. 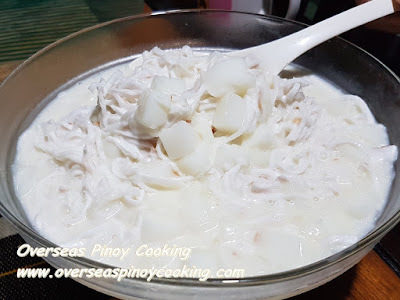 Making my Buko Almond Salad with Vanilla Ice Cream is equally dead easy similar to my Buko Pandan Salad with Pandan Ice Cream, in fact they are nearly similar it just that I used almond flavoured gulaman and vanilla ice cream instead. 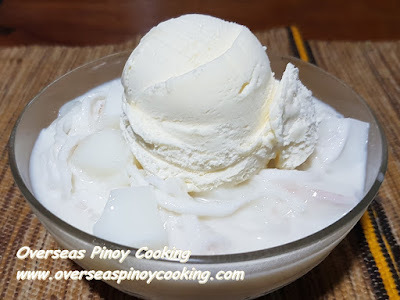 Okey here is the recipe of my now improved Buko Almond Salad with Vanilla Ice Cream, try it, it’s dead simple to make. 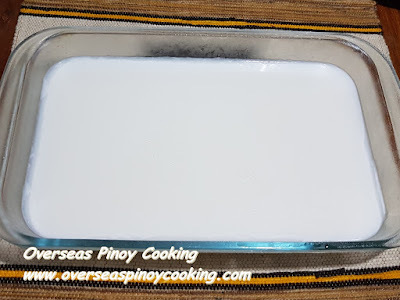 In a medium sized sauce pan dissolve the almond gulaman powder in 1 liter of water, ratio as per package instruction. Bring to a boil and simmer for about half minute. Now pour the gulaman solution in a wide shallow container, let cool and allow to set. Cut gulaman into 1/2” cubes, set aside. 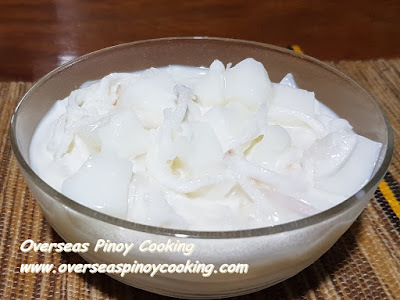 I a large bowl combine the buko strips, gulaman, fruit salad condensed creamer, condensed milk and about 3 to 5 drops of almond essence. Let chill in a refrigerator until ready to serve. Serve with vanilla ice cream topping.